A Leavenworth WA summer vacation should definitely be on your to-do list this year. Once the spring festivities of Maifest are over, it's time to start thinking about summer fun! There are numerous summer activities for couples that offer the opportunity for memorable romantic moments. From Leavenworth camping and a visit to the Leavenworth Summer Theatre to teeing off at the Leavenworth Golf Club, ATV adventures, and Whitewater Rafting, Leavenworth style - there is something for everyone to experience during the warmer months of the year. Feel free to check out some of our most popular couple's activities available during the summer. Imagine romance of e a horse-drawn carriage ride through the magical mountain town of Leavenworth. 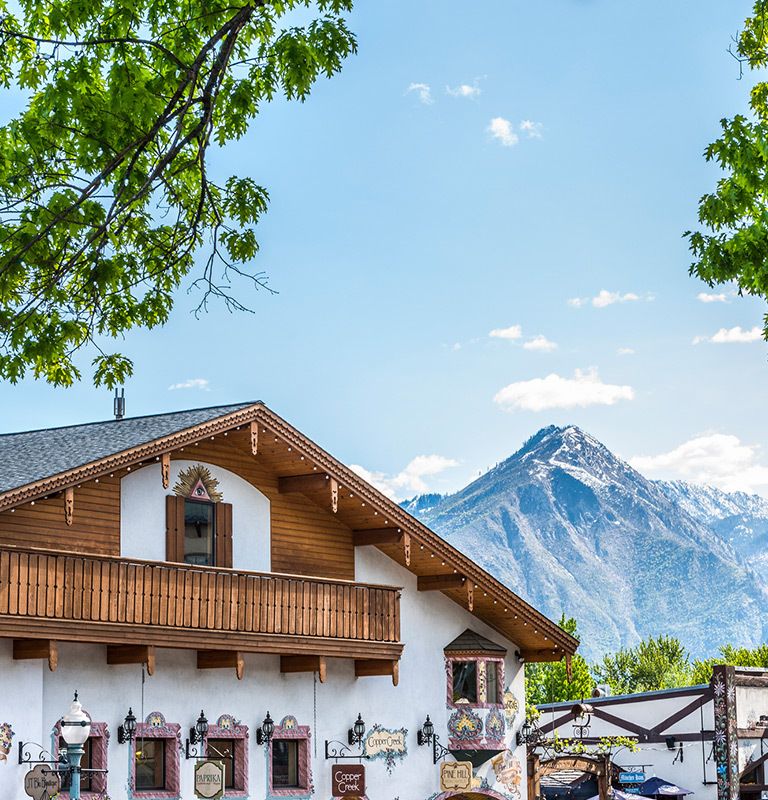 See glorious sights, take in Leavenworth's breathtaking scenic beauty, and hold the hand of the one you love while your driver and horse takes you around the village. Regular shared carriage rides are available without reservations and depart from 9th and Front Street. We offer private horse-drawn and wagon rides for all occasions, including dinner rides, weddings, reunions, sightseeing and more by reservation. Call us at 509-421-0679 for more information. Want to explore Leavenworth on your own? Take advantage of the many companies that offer discount bicycle and skateboard rentals when you are visiting. Open from April through to November, this bicycle specialty shop offers rentals, repairs, and retail sales. We also have local maps, recommendations on specific trails and are knowledgeable about the area. Call us at 509-548-5615 for more information. We are a sporting goods store with over 30 years experience in camping, climbing, fishing, hiking, bicycling, outdoor clothing and footwear. We are one of Leavenworth's top rental shops for bicycles, climbing, XC skis, and snowshoes. See us for all of your outdoor needs. We offer our riders experience-based knowledge, style, and performance, honoring the Euro tradition of cycling. Our passion is turning your passion into cycling. Call us at 509-888-5336 for more information. Come see why the Leavenworth area is a highlight of Audubon Washington’s Great Washington State Birding Trail. Pick up your free copy of the map of this highway traveler’s trail at the Leavenworth Chamber office or at the Barn Beach Reserve at 347 Division Street. There are seven sites listed in the area, which has been selected as some of the best birding hotspots in the state. Waterfront Park, only a few blocks from downtown, has tall cottonwoods and other important streamside vegetation full of many species. Look for Grey Catbird, Veery, and Bullock’s Oriole. The Wenatchee and Icicle Rivers offer a watery oasis for birds and other wildlife, and are home to Belted Kingfisher, Harlequin Duck, and Wood Duck. The Osprey is becoming more abundant in the valley, recovering from the impact of pesticides that damaged their eggs and are no longer in use. Leavenworth’s variety of habitat makes for enjoyable birding year-round. See why this is the fastest-growing sport in America! Find out more www.leavenworthspringbirdfest.com. call 509-548-6977. Please check on permit requirements before arriving. This association sponsors a ten-kilometer seasonal walk in Leavenworth town from May 1st to November 30th. The starting point is at the Best Western Icicle Inn. Leavenworth's popular sporting goods store with over 30 years experience in camping, climbing, fishing, hiking, bicycling, outdoor clothing, and footwear. We are also a rental shop for bicycles, climbing, x-c skis, and snowshoes. See us for all of your outdoor needs. Call 1-800-548-4145 for more information. Come see us for your outdoor recreation needs. We are central Washington’s premier shop for cross country skiing, snowshoeing, hiking, kayaking, and climbing retail and rental. Call 509-548-7864 for more information. Put the joy back into your hiking vacation. Put down the heavy backpack and let the pack animals carry the camp. Deluxe camps, drop camps, and saddle horses are available. Call 1-800-497-3912. This park has 197 tent and utility hook-up campsites, swimming, beach areas, hiking, biking, interpretive programs and live entertainment. Call 509-763-3101 for more information or reservations at 1-888-226-7688. Rides by wagon, horse, or tractor? Sounds like tons of fun! Explore some of Leavenworth with your special someone this summer and do something unique. Check out the companies below that specialize in providing rides throughout our magical mountain destination. Your recreational horse facility! Scenic, guided horseback rides, 90-minute to six-hour trails, April through October. Horse drawn wagon rides and BBQ’s available for groups spring, summer, and fall. Call 1-800-221-7433 for more information. Hourly trail rides in two locations. Day rides and two and four-mile rides. We also offer summer pack trips, fall hunting trips and winter sleigh rides. Call us at 509-763-3647 (Lake Wenatchee) or at 509-669-1518 (Leavenworth). Come to Mountain Springs Lodge for your spring, summer, and fall horseback fun. Also enjoy group hayrides through spectacular mountain scenery, followed by our famous BBQ! Reservations are required. Travel over the meadow and through the woods with sleigh and hayrides on a working draft horse farm. We also offer BBQ cookouts. Our tours are perfect for families, weddings, reunions, tours and conferences. A variety of fishing is available within a 20-mile radius of Leavenworth and the Wenatchee River, including, premier game fish (steelhead), trout fishing, and high-mountain lakes. Other lakes include Lake Wenatchee and Fish Lake. The area also offers some of the state’s finest mule deer and elk hunting. Bird hunting is also available. Please contact the Department of Wildlife for schedules. Family owned and operated guide service, founded by Shane Magnuson in 2004. Join our team for the ultimate guided fishing and hunting experience. We offer fishing on the Columbia, Icicle Creek, Wenatchee, and Methow Rivers – as well as on local Washington lakes. We have guided hunting on the Columbia River for waterfowl. Call 509-264-7684 for more information. We offer high lakes fishing and packing trips as well as bow, muzzle and modern hunts for mule deer, elk, and bear. Guided hunts and drop camps are available. Call 1-800-497-3912. We are a sporting goods store with over 30 years experience in camping, climbing, fishing, hiking, bicycling, outdoor clothing, and footwear. We are also a rental shop for bicycles, climbing, x-c skis, and snowshoes. See us for all of your outdoor needs. If you are a golf lover then you will love visiting Leavenworth, Washington. We have a nice selection of courses to try your skills on, including 18-hole championship courses that overlook waterfalls, rivers and more! Check out these companies below so some of the best golf around town. Enjoy professionally designed 18-hole championship putting course with spectacular waterfall and real mountain goats. All equipment provided. Call 509-548-5269 for more information. Tee-off on a championship 18-hole course located on the bluffs of East Wenatchee overlooking the Columbia River. Enjoy breathtaking views, Scottish-style links, affordable country club service, name brand rentals, and hotel golf packages. Call 509-884-4653 for more information. This Bavarian theme 18-hole miniature golf is fun for the entire family. The course is complete with waterfalls, waterwheel, miniature buildings and more! This is a beautiful 18-hole golf course located at Lake Wenatchee. Included features are a marine driving range and a practice putting green. We also have an on-site restaurant. Call our Pro Shop at 509-763-4025 and our office at 1-866-872-5089. We offer a spectacular setting for golf, including views of the Wenatchee River, mountains, and abundant wildlife. As a bonus, we also offer fabulous food that will make your experience here truly special. If you are passionate about whitewater rafting, tubing, and kayaking, Leavenworth has numerous water activities waiting for you. A Leavenworth tubing, river rafting experience or kayaking adventure is unlike other watersport experiences, and something you do not want to miss out on while here! Check out some of our local resources and companies that offer these wet n' wild tours. 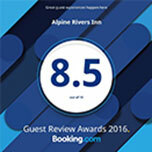 Alpine Adventures provides local river rafting adventures. All Wenatchee trips include all river gear, riverside catering, bus shuttle service, and our knowledgeable and friendly guide staff. Premier one and two-day whitewater trips, including our famous “Top sirloin steak BBQ," dinner, light lunch, wetsuits and shuttle service. We also offer Bald Eagle trips from December through February. Call 509-548-1600 for more information. Enjoy the thrills of whitewater and scenic rafting at its best! We offer excitement and fun for all ages. Experience the best rafting on the Wenatchee River. Inflatable kayaks, as well as RV and camping are available. Call 1-888-723-8987 for information. We offer raft and kayak-guided nature and wildlife floats (2 hour trips daily 9 a.m. to 6 p.m.) and well as raft and kayak self-guided rentals and shuttle. Group raft and kayak day trips are available for all ages and occasions. We offer services from April through to October. Call us directly at 509-548-0368. Osprey Rafting is the most dynamic river company in Washington State, offering Class IV in our smaller six-man sports raft or class III in the standard eight-man raft to scenic Class I and II family floats. Our experienced guides know the right lines, cool play spots, and sweet hits for “river jamming, foam eating fun.” Take home photos of you having a blast on the river! Telephone 1-800-743-6269 for more information. Enjoy affordable family fun for all! We offer convenient and hassle-free trips, catered BBQ’s, and wetsuits with every tour. We have morning and afternoon departures. Groups, families, individuals all welcome. Affordable, deluxe float tube rentals for the whole family including your dog! Shuttle, maps, and life vests are included. Cooler tubes and dry bags are available. We are open July to September. Reservations are highly recommended. Let´s GO TUBING! Beat the heat and enjoy some old fashioned fun on the Wenatchee River. Affordable, deluxe float tube rentals for the whole family including your dog! Maps, life vests, and shuttle are included. Cooler tubes and dry bags are available. Open July through to September. Reservations are highly recommended. Call 509-548-882-3367 for more information.